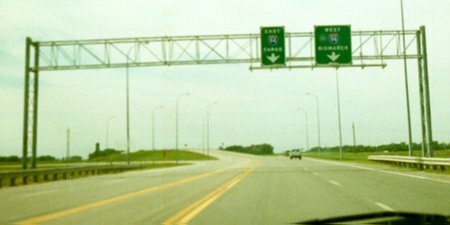 US 10 has a rather obscure western end at I-94 in West Fargo, ND, and this is it. US 10 used to go all the way to Seattle. Photo by Adam Froehlig, taken in 1999.